Brandi Williams Director & Vice-President Brandi is the Director and Vice-President for the Calgary chapter. Judy Miller Director & Treasurer Judy adopted her first Greyhound in 1999, completely fell in love with the breed and has been volunteering ever since that first introduction. She is on the NCGL Board of Directors and holds the office of Treasurer. 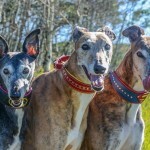 She continues to facilitate the pick-up of Greyhounds surrendered to NCGL, Greyhounds from S. Korea and works alongside other volunteers in special events and monthly NCGL gatherings. Heather Pardy Director Heather is a member of the Board but has been involved with fostering, transport and adoption for NCGL since 2002. Heather lives in Calgary, AB with her husband, son and 3 dogs. 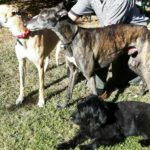 Heather has been owned by various dogs of different breeds (including 3 adopted Greyhounds) and has a particular interest in dog behaviour, training and nutrition. Heather works in marketing for a mobile veterinary company where she enjoys bringing 1 or more of her hounds with her to the office every day. Virginia Bennett Director Before meeting and being charmed by a lovely Irish Greyhound Virginia had only lived with Newfoundlands (4), Pointers (2), Beagles (2) and a couple of lovely mutts. 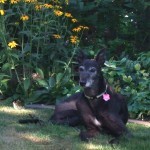 She now lives with 2 greys who could not be more different from each other and one terrier mix who rules the roost. 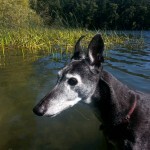 She has formal training in several complementary canine therapies and continues with her studies. She has been the adoption coordinator for the NCGL BC region since January 2016. John McMahen Director John resides in Victoria B.C. 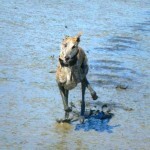 He adopted his first Greyhound in 1995 and has been fortunate to share his life with several since then. John has been active with NCGL for many years, mostly in transporting dogs from the U.S. to their homes in BC, but also fostering many hounds along the way.